Flat Head Cap Screws is getting popular because of its ultimate features such as hex-socket wrenching feature, use of heat-treated alloy steel and precision class 3 fit threads. They use in various applications like used in thin sections where heads cannot protrude, second used where maximum flush and sidewall contact is needed. We are the largest distributor of Flat Socket Cap Screw available in each grade and every size at a price you can afford. These screws require less maintenance and deliver quality service for a long period of time. It has lots of interesting features that are Non-Slip driving, Class 3 fit threads, No Burred slots and accurately formed heads. 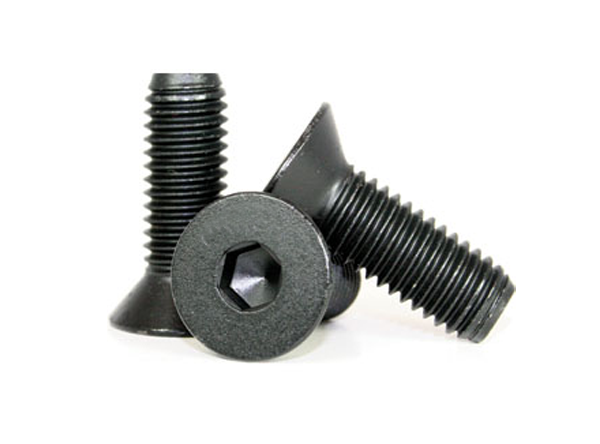 JF Engineering is the major Organization in offering Flat Socket Cap Screw Fastener to the clients. It is manufactured by utilizing the supreme quality material under the supervision of experienced team according to the national and international market standards. This product is stringently checked by the quality auditors on well defined parameters available at various grades and materials.